Apparently when some people see the warning on their mobile phone that the battery is "critically low," it drives them to deparate measures. A man jumped onto the stage of a Broadway play, and tried to plug in his phone charger. Bad news: the outlet was a just a prop. Good news: he won't be texting during the show. The IP addresses used to access her Netflix and Spotify accounts proved to be the undoing of a mom who kidnapped her young daughters in a joint-custody dispute. U.S. and Mexican authorities tracked her via the IP address to Cabo San Lucas and returned the kids to their father, while mom and her new husband went to jail. (Cue ominous music...) ProxyHam, a WiFi access point that enables users to browse the Web anonymously and has a 2.5-mile broadcast range, was supposed to be released at next month’s Defcon conference. But inventor Ben Caudill suddenly canceled the whole project and says he can’t discuss why. Twitter deleted two six-second Vine video ads for its #DiscoverMusic campaign after a complaint that they could cause epileptic seizures. No actual seizures have been reported by viewers. PC prices may soon hit all-time lows. Global PC sales plummeted nearly 12% below last year’s Q2 figures, according to International Data Corp. Acer PC sales nosedived 26%. But Apple desktop and laptop sales were up 16%. Time-Warner Cable must pay $229,500 to Araceli King, a Texas insurance specialist, for robo-calling her cell phone 153 times in less than a year, a U. S. District Court judge ruled. TWC claimed it shouldn’t be liable because the company (erroneously) thought it was harassing a customer named Luis Perez whose bill was past due. Doppler Labs has raised $17 million to develop its novel “Here” earbuds that don’t play music. Instead, they filter out crying babies and other ambient annoying sounds, and even let users crank up the bass at live concerts. For only $150, you can turn your svelte, pocket—sized iPhone into a clunky, 1980s-looking Super 8 video camera with the Cinematic SmartCase. T-mobile’s new Family Plan gives 10 GB of monthly data to each line in a plan, while Verizon makes families share 10 GB. T-mobile is also cheaper than Verizon for a four-line package. Three new Logi Blok cases from Logitech can help iPads survive a six-foot fall onto a stone floor. Professional basketball players will just have to be more careful. And finally, one for grammar nerds like me. On the form where readers can post comments here, I state that "spelling, punctuation, grammar and proper use of UPPER/lower case are important!" A judge in Ohio agrees with me, and tossed out a parking ticket because the village law was missing a comma that made the meaning of the statute unclear. Most recent comments on "Geekly Update - 22 Jul 2015"
Several years ago, I decided to buy something that I saw on TV. I put in my name, address & credit card number. Before I clicked on the final button to order it, I changed my mind. I deleted all the information. Because they used a cookie to collection information, I received the item several days later. It back fired on them. I put on the box without opening it, "Refused, Return to Sender". Also I contacted my credit card company and advised them. For some reason, which I can't recall now, I received more money back then I was originally charged. I would suggest anyone purchasing merchandise online, they should block their cookies unless they order from them quite often. You certainly can. 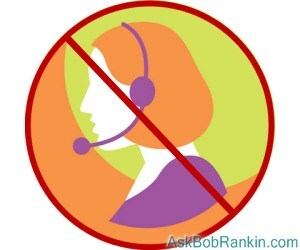 I kept getting dunning calls for a woman whose cell phone number was the same as mine except for the area code. I told them that they were given my number. I contact Lemberg law who specialize these kind of calls. They gave me a program to download to my cell phone that records the number of the caller. While I was talking to the Law Firm on my land line they called my cell phone. I put it on speaker phone and the Law Clerk hear what they said and said the would call me as many times as They want. The Firm prepared a Order Of Complaint in Federal Court whose Fines are much larger than States. They contacted their Atty. and waited for a response when 30 days passed they filed in Federal Court in my Home Town. The Defendant than responded with an offer to avoid court. I wound up being offered 2 Payments of $3000.00 and I signed off on that. They are to send Payment to my Law Firm after it clears I will the first check within a few weeks and the 2nd in 45 days after the first. The Firm gets a part of the settlement which is separate from my payment. I say sue as each violation is $1500.00 trebled. Gosh, I thought that I was really seeing into the future with this August 22 glimpse, but alas it was immediately followed by a resend labeled July 22. Reminded me for the last email I sent without adding the attachment I intended to send. Keep the good stuff coming, especially now that we know you are not a robot. Bob, I liked the first version of this newsletter that you sent out - the one dated August 22nd - it proved you were not a robot. As we all know "big brown" (UPS) already requires its drivers to eliminate left turns whenever possible. They have studies indicating it saves time and fuel (less time waiting, idling) and reduces collisions. Hooray for the Ohio Grammar judge! Thanks, Bob, for a great article. Grandma enjoys eating her grandkids and taking naps. Grandma enjoys eating, her grandkids and taking naps. Just wondering why I got 2 of the same Geekly Updates this time. Was it fat fingers or just an over site? Not a problem, just curious. As usual I love reading your stuff. I love all your articles and save most of them for reference. I especially love that you are a grammar nerd and the story about grammar in this week's Geekly Update. With all the texting shortcuts taken today, grammar and punctuation are becoming a thing of the past. While all those shortcuts may be fine for texting, in the real world one should be able to correctly write and punctuate. That being said, I also love all your Geekly update articles. They are so helpful in keeping me up to date on some of the current computer news. Thanks. The best example I've ever seen about the criticality of commas was this: "Let's eat, Grandma," versus "Let's eat Grandma." This plaque hangs in our kitchen, a gift from loving son and daughter-in-law, who know me all too well. I strongly agree with your spelling, punctuation, grammar and proper use of UPPER/lower case rules. But, be aware that this will eliminate 93.61% of the population! Bob, is there any way that we can have assurance that no one can, or has, falsely opened a Facebook account in our names? The item you had about an account which falsely claims a girl as the daughter of a man she doesn't even know bothers us. Hi Bob: You are referring to the serial or (more recently) Oxford comma. In your sentence "spelling, punctuation...", there is little ambiguity. But what about this: Bob, Sally and Jim will have to split the lottery prize. WITHOUT a comma after Sally, it could be interpreted that Bob gets half and Sally and Jim split the other half. That could be a big difference if the prize is in the millions of dollars! Good for you! I find the concept of supposedly intelligent, educated writers, (and readers) not caring a whit about the accuracy of their writing, to be one of the many threats to the continuation of our species. When I was growing up I was expected to 'Look it up, son' in the huge unabridged dictionary which sat atop its own rugged, mahogany stand in the living room. I would, of course. Then I joyfully spent hours reading hundreds of other words that were unfamiliar to me at the time. Our language is our nourishment....it allows us to speak to each other and share ideas....to argue, to join each other in matrimony..but I babble on..
How 'bout this: I was a technical writer [words, not code] for several years. in my first job i learned why they hired me: engineering and technical people can talk well, but they don't know how to write their own words on paper in the same logical fashion that they can easily say. they also do not know how to form sentences, where to put commas, and so forth. how did they get through high school, let alone higher education?! PC sales are down, but the prices remain high. Maybe if they lowered the prices a bit they would sell a few more units.